View our accommodation deals below! From group discounts to meal deals and more – check out our specials and book online! 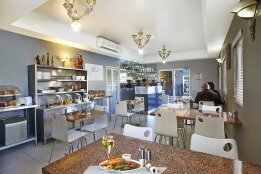 Our School Holiday Special includes accommodation within our 2 bedroom apartment and complimentary continental breakfast in Zeina’s Cafe for 2 Adults and 2 Children plus FREE internet access and FREE Underground Parking. Why not save when you book Bed and Breakfast online. This Special includes staying in our Standard Room and enjoying a full Breakfast in Zeina’s Café. *Full breakfast includes continental and Bacon and Eggs on Toast. *Rate is for up to 2 people. Here for a while? This rate saving deal is right for you. Staying in our Two Bedroom Apartment which includes all the creature comforts of home will assist in making your stay relaxing and comfortable. Check for availability and Book Now! Minimum 5 night Stay, Rate is for up to 4 people, extra person charges $30, maximum occupancy 6. 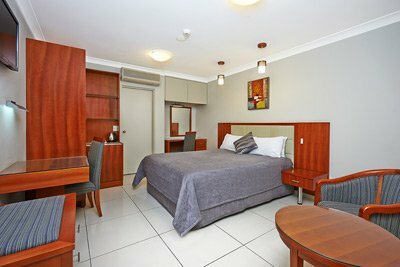 Choose from our selection of Motel Rooms and Serviced Apartments and save when you book a minimum of 3 nights. Book Online Now and take advantage of this saving! Full prepayment, no cxl or refund.